The moment I saw Battle Beast live when they were on tour with Leaves’ Eyes and Sabaton back in 2017, they immediately shot to the top of my favorites list with their amazing stage energy and their very creative mix of 80s synth, pop, rock, and metal. Just listening to the band’s music live was a treat for the ears and the soul, the music was fun and exciting, something that hasn’t been done a million times. That itself made this band something special to me, being a product of the 80s, they combined all of the elements of the music of my youth that I adored. 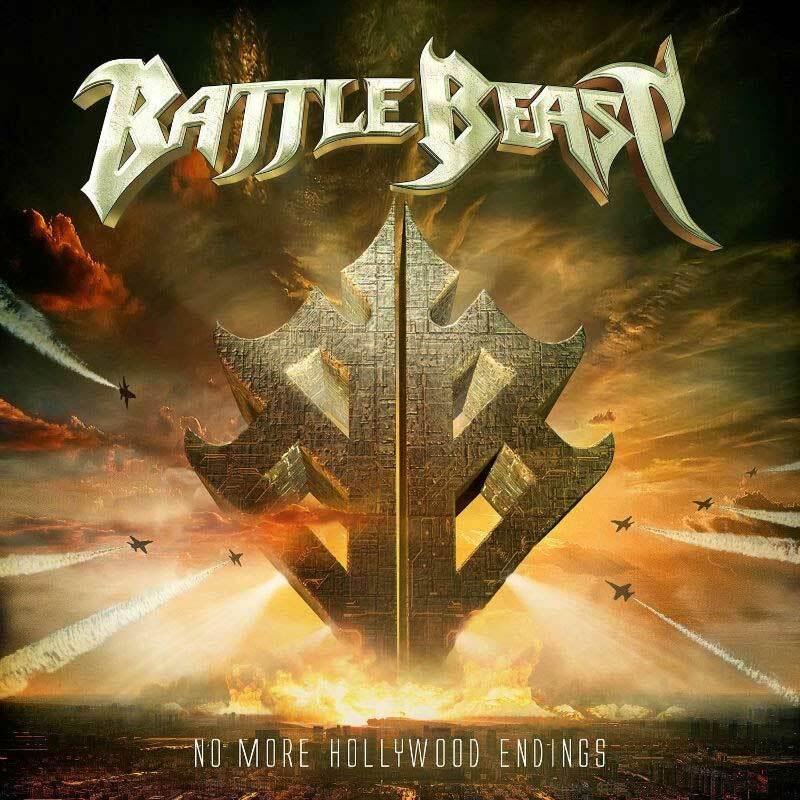 With the release of the band’s 5th album, ‘No More Hollywood Endings’ we find Battle Beast at their best, the heavy songs are heavier, and the pop songs are so much more poppy, in a great way. The musicianship of the entire record is cohesive, powerful but also a bit mellow in places giving the listener an opportunity to catch their breath between hard-hitting energetic songs. This album has everything you would expect from a band with as much energy as these guys have, but for me, the thing that shined the most to me is it feels like this record was an opportunity for Noora’s voice to break through and deliver its raw power. Noora has one of those very unique voices, it is raspy but powerful and she knows exactly when to deliver a combination of each. This album seems to contain some bigger elements than the previous releases, with larger scores to some of the songs like the album’s opening track, ‘Unbroken’. The song sits on the same level of something from Nightwish or Sabaton with strong orchestral sections mixed with the band’s hard-hitting, energized style. For me, the most stand out track on the record was actually one of the softest songs on the release, which is odd, because this record hits hard. ‘Bent and Broken’ was one of those powerful songs that really allowed Noora’s range to shine through and create a very intoxicating atmosphere throughout the songs four-minute length. Overall this 13-track, 55-minute follow-up to the band’s most successful release to date, ‘Bringer of Pain’ is one of the best records that I have heard in a while. It gave me everything that I completely love about this band, powerful emotional songs, catchy pop songs, and heavy metal tracks. ‘No More Hollywood Endings’ is a perfect collection of what makes this band so unique, give us exactly what we have come to expect from Battle Beast. You can check out the album for yourself when it hits all major streaming services and CD and Vinyl copy release via Nuclear Blast on March 22, 2019. The band will also be hitting the road later this year in North America to help promote the new release their fans.